What you need to know: Many individuals with ASD experience sensory over-responsivity, which often includes intense and prolonged negative responses toward common stimuli (e.g., bright lights, loud noises). This study shows that sensory over-responsivity increases maternal stress and changes the routines of many families to prevent the child from coming into contact with the sensory input. Sensory over-responsivity (SOR) is often observed in children with autism spectrum disorders (ASD), which can continue as they age. 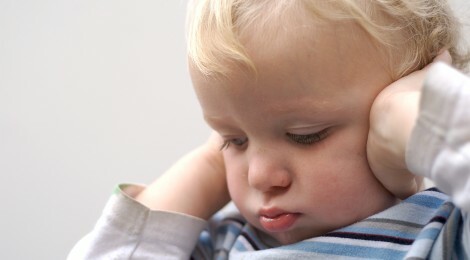 SOR can manifest as intense and prolonged negative reactions to common experiences (e.g., touch, sound) and it often leads to negative emotion, distractibility, stress and avoidance (e.g., avoiding soft textured foods). SOR can also cause aggressive and disruptive behaviour, reduced participation in activities of daily living and social interactions, and internalizing problems. In this study, the authors explored the relationship between early SOR in young children with ASD, and family life impairment and maternal parenting stress. They examined family impairment, parenting stress, and child and parent factors in children with and without significant levels of SOR. The participants included 174 toddlers with ASD and their mothers recruited through early intervention providers, specialty autism services programs, pediatricians, and word of mouth. On average, children were approximately 2 years of age when they began the study, and 4 years of age at the end of the study. After agreeing to participate in the study, families were sent a booklet to fill out that included self-report measures of theirs and their child’s behaviour and mental health (e.g., child emotional difficulties, parent stress and depression, the effect of child problem behaviour on the family). The researchers then conducted two visits, one with the child and one with the mother. The child interview took place in the laboratory, was videotaped, and included measures of social/communicative functioning, repetitive behaviours, and cognitive functioning. The caregiver visit took place at home or at the laboratory and measured the physiological and cognitive symptoms of anxiety. After the initial data collection, the families were followed annually for 2 years where they completed the booklet each time. In this paper, the authors discuss their findings with reference to the ways that parenting stress and restrictions of activities may be related to SOR behaviours. Parents of toddlers with high SOR symptoms reported higher levels of initial parenting stress and family life restrictions, which lasted throughout the study’s 2-year period. Many families with children that have SOR adapted their activities and routines to cope with child’s sensory issues by avoiding triggers during self-care, feeding and outdoor activities. For example, in general, mothers reported using various strategies to avoid tantrums and irritability in these situations. Common examples included changing: routines (e.g. vacuuming when child is at school), social activities (e.g., avoid outings to malls), and home environments (e.g. locking closets). Overall, the findings suggested that sensory over-responsivity had more of an effect on family functioning and stress than most child diagnostic (e.g., social-communication scores), emotional, and behavioural (e.g., externalizing anxiety) scales. The data also suggest that parenting stress may lead them to over-respond to their child’s behaviour, respond in a less sensitive manner, and be less effective at using coping strategies, which could actually make their child’s behaviour worse. These findings highlight the importance of assessing the practical and psychological impact that sensory symptoms have on families in order to create more effective early intervention plans. As some families in this study did not report elevated stress and restrictions, the authors believe that future research should explore what contributes to their resilience. Additionally, future research is needed to assess later family outcomes, as the children in this sample were relatively young and some of the emotional and behavioural problems can increase with age. Ben-Sasson is involved in the Department of Occupational Health in the University of Haifa, Israel. Soto, Martinez-Pedraza, and Carter work in the Department of Psychology at the University of Massachusetts Boston. Citation: Ben-Sasson, A., Soto, T.W., Martinez-Pedraza, F., & Carter, A.S. (2013). Early sensory over-responsivity in toddlers with autism spectrum disorders as a predictor of family impairment and parenting stress. Journal of Child Psychology and Psychiatry, 54(8), 846-853.